Dr. Benchley and Dr. Jordan are chiropractors serving Clare and the surrounding communities for over 30 years. Dr. Benchley, Dr. Jordan and the rest of the friendly team at Benchley Chiropractic are dedicated to chiropractic solutions to target your unique needs, whether you are suffering from back pain, neck pain, headaches, or even muscular tightness and tension. You may need pain relief after suffering an accident, experiencing an injury, or if you have a specific condition such as chronic back pain or a spinal condition; even if you just want to improve your overall health, Dr. Benchley and Dr. Jordan can help you achieve your wellness goals! At your first visit to Benchley Chiropractic, Dr. Benchley and Dr. Jordan will explain the science behind how chiropractic care works, and give you a full evaluation to see if chiropractic care is right for you. If there is a good fit, we can develop a plan of chiropractic care that is specific to your condition and health goals. WorkSafe provides free employee trainings to Michigan workers, made possible through a State of Michigan safety grant - a collaboration between the Michigan Association of Chiropractors (MAC) and the Michigan Occupational Safety and Health Administration (MIOSHA). Back and ergonomic injuries are the leading cause of sick days among Michigan workers. That greatly impacts a company’s bottom line! WorkSafe — a FREE, on-site, Back Safety & Ergonomic employee training program. WorkSafe saves companies time and money by reducing preventable back and ergonomic injuries. 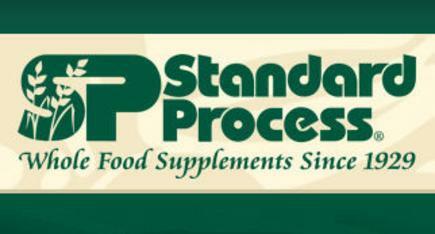 We offer Standard Process and Medi Herb products! Most common products instock daily! If we do not have the product instock that you are looking for we can usually have it for you within a few days. 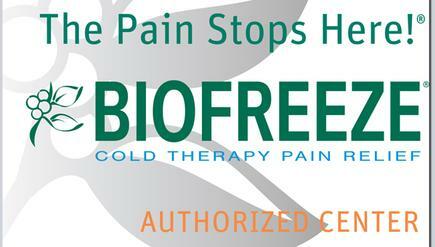 We offer roll-on, spray and gel forms of Biofreeze! This is the support and performance tape used by U.S. Olympic Athletes. All of our doctors are certified "Rock Docs"! We offer RockTape, Rockballs, Rock n Rollers, and Rock Sauce. 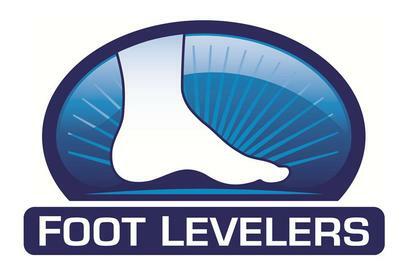 Whether you need custom orthotics or cervical support; we have the Foot Levelers product that will fit your needs! Our doctors are trained to test you with these products to ensure proper support. STYLE. IT DOESN'T NEED TO HURT. Combining today's must-have trends with cutting edge biomechanical technology, Vionic has created stylish and comfortable women's shoes and footwear specifically designed to promote an active lifestyle. And at Vionic, we believe comfortable shoes equal happy feet, inspiring a happier, healthier, more empowered life. We offer Vionic Shoes, Orthotics and Sandals! 1st Phorm offers premium muscle building supplements designed to get you the results. 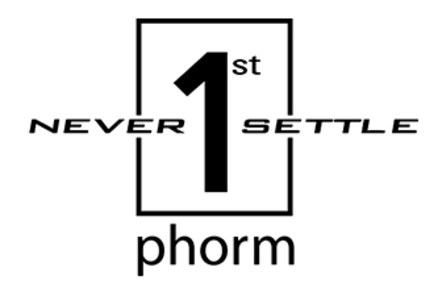 We are the only retailer in the Central Michigan Area the offers 1st Phorm products.